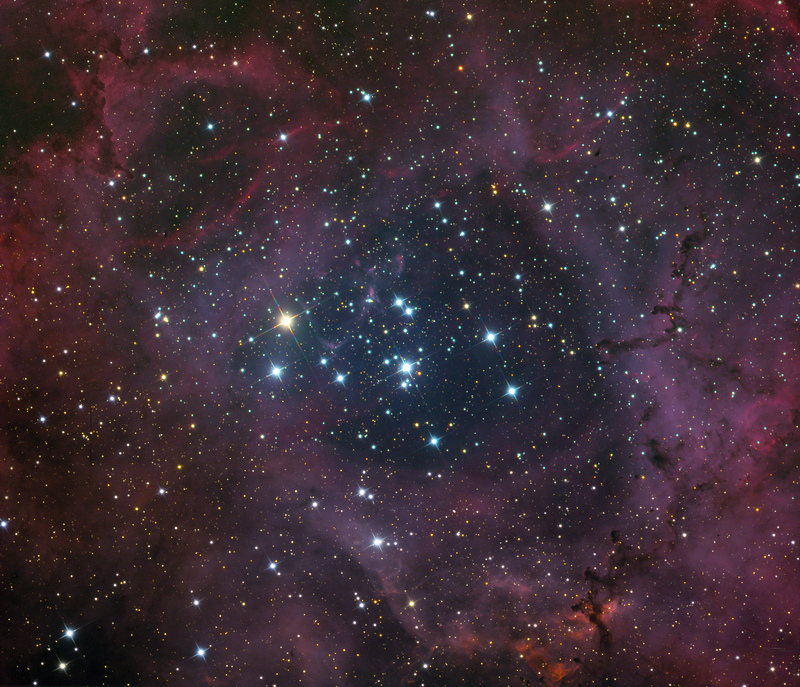 This is a mosaic of 3 nights of imaging of the Rosette Nebula. It's a bit large for my field of view, so I took 3 different portions of the nebula on different nights and then assembled them into one image giving me a wider field of view. The images were taken January 30, February 3 and 4, 2013.